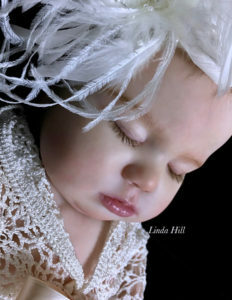 The Realborn® 7 Month June Sleeping ,25″ Reborn Doll Kit has been greatly anticipated. 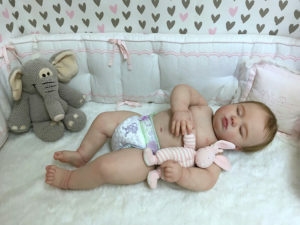 Which is really no wonder with just how realistic the babies created using this kit are. This kit has full arms and legs and comes unpainted and ready to reborn. 7 Month June is about 25 inches long when completed, with a head circumference of approximately 18″. There is also have a belly/back torso designed to fit her.